SAS is a Business Intelligence tool that facilitates analysis, reporting, data mining, predictive modeling with the help of powerful visualization, interactive dashboards. SAS (Statistical Analysis System) introduced the SAS Business Intelligence & Analytics Solution for large enterprises to explore their large datasets in a visually appealing format. SAS analytics is a data analytics tool that is used increasingly in Data Science, Machine learning, and Business Intelligence applications. 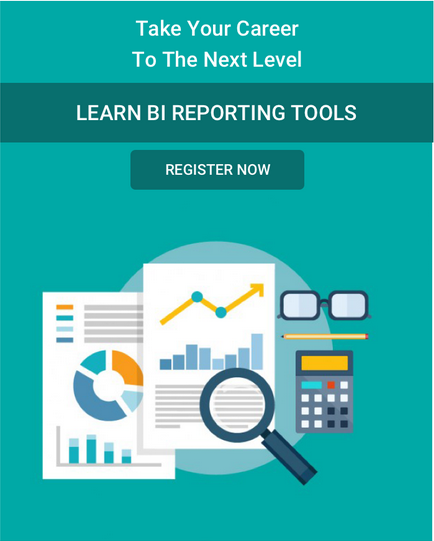 Not only it equips the organization with all necessary tools to monitor the key BI metrics but also produces powerful analytics and comprehensive reports for its decision makers to take well-informed decisions. Learn more about SAS tool in this comprehensive SAS Tutorial now! SAS Visual Analytics helps in generating powerful insights and analysis of big data of an enterprise in an easy way such that the business users themselves can draw inference out of the analytics thus, off-loading the IT team of this burden. This tool enables them to identify trends, spot correlation among data, isolate the outliers, realize the exceptions, unearth the root cause of such variations and come up with some new ideas and insights which they were not aware of. SAS Visual Data Exploration helps in creating visuals which are appealing and grab the interest of the business users, who may not have found such data interesting otherwise. This tool analyses big data and represents them in the form of graphs, charts and other compelling visuals, thereby making it easy for the business users to draw information and inferences out of it. This in turn helps them understand their business thoroughly and take decisions informed decisions. Consistency in data is maintained through centrally managed data, security and shared metadata. The reliability of the outputs is ensured and the results can be traced back to the data sources. It utilizes in-memory and distributed processing, thereby making the analysis of huge database prompt. This tool also helps in predictive data modeling. It provides a collaborative environment- Business Executives like using Microsoft Excel & other Office tools. This feature enables the business users to access SAS BI and Analytics and create reports using Microsoft Office.They can also distribute such reports through Office. Though creation of story boards and narratives decision makers an exchange crucial information and ideas. SAS Mobile BI helps the business managers and executives access the dashboards and reports from remote locations or while travelling. Thus, it is always possible to be in touch with important business insights. Check the top SAS Interview Questions to learn what is expected from SAS professionals! Who is the right audience to learn this technology? This course can be taken up by software developers, business intelligence, analytics, ETL, SQL, data warehouse, mainframe and testing professionals. How will this technology help you in your career growth? Business Intelligence and Analytics have become a necessity for all medium and large-scale companies worldwide. SAS is a leader in this domain holding a maximum market share for advanced analytics. The demand for SAS BI and Analytics professionals are on a steep rise as more and more companies are adopting SAS BI and Analytics software all across the globe. SAS BI and Analytics job are flooding the global market with great packages offered by most of them. According to a research by indeed.com job portal, the average salary of a Principal SAS professional in the USA, as of Dec 2016, is USD 120,000 per annum. Thus, it can be concluded that going for the SAS BI and Analytics course will not only add a feather to your knowledge cap but also increase your demand as a professional in this tough market. Business Intelligence and Analytics is such an area whose growth will never cease to increase. Thus, being equipped with the knowledge of one of the market leaders, SAS, will ensure a stable future for its professionals. Looking for Top-notch SAS Training? Previous What is SAP HANA? Next What is Machine Learning?